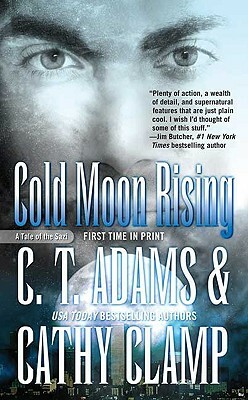 Tor Paranormal Romance, 9780765359643, 384pp. Former Mafia hit man Tony Giodone has been through a lot--he's turned into a werewolf, with a human mate and a pack leader tougher than his old Mob boss. "And "he's developed a powerful psychic ability--he can see into the past through other people's memories. Being mated with a human is difficult in more ways than one. Tony and Sue's relationship is full of struggle. Adding to Tony's trouble is a new problem with some old mobster "friends..".who also happen to be a cabal of Sazi mass murders trying to extinguish the human race. Only one man might be able to help Tony and the Sazi stop the cabal: Ahmad, the leader of the snakes. He and Tony have a deeper psychic connection than Tony has with anyone else--even his mate Now Tony is along for the psychic ride of his life as the crown prince of an ancient empire is faced with his deadliest enemy: a woman he once loved, whom he was forced to betray . . . one who may now betray Ahmad, Tony, and all of humanity. C.T. ADAMS AND CATHY CLAMP live outside Brady, Texas--Cathy with her husband and dogs, and C.T. with her son and cats. They are the "USA Today" bestselling authors of the Sazi shapeshifter series and the Thrall vampire series.